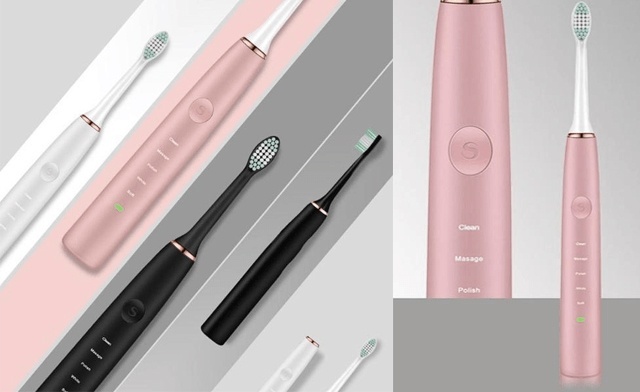 Receive an electric Sonic toothbrush with five cleaning modes to keep your teeth clean and healthy! 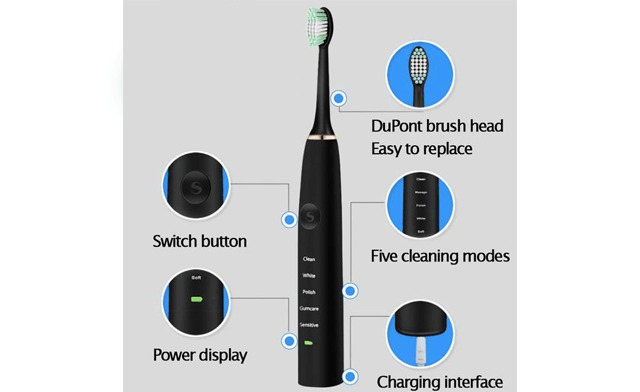 Intelligent Automatic Timer: the 2-minute automatic timer helps to ensure that you brush your teeth for a dentist-recommended 2 minutes. 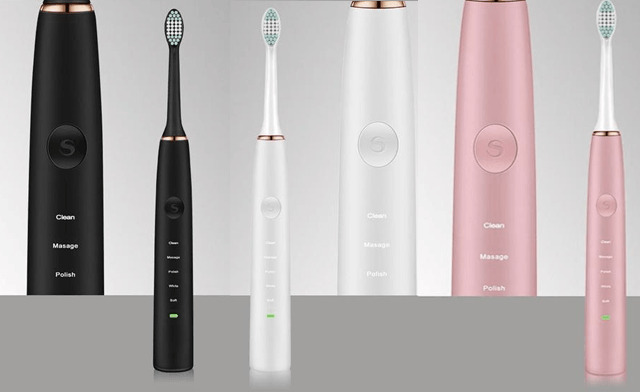 30 second interval timers remind you to move to the next segment of teeth. 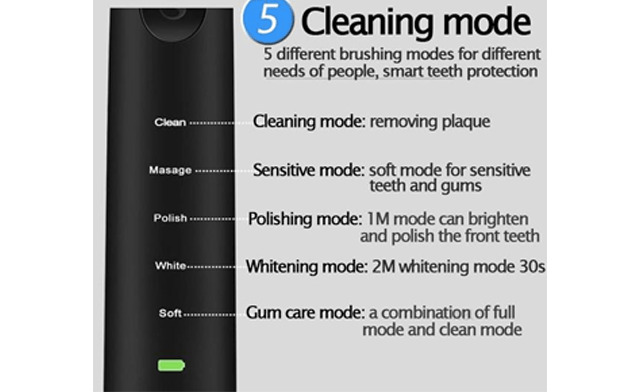 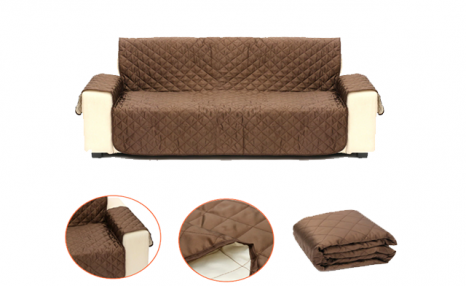 5 Optional modes: 5 modes provide different ways to clean your teeth, providing a customizable brushing experience that best meets individual needs; small brush heads can be easily manipulated into hard to reach areas.